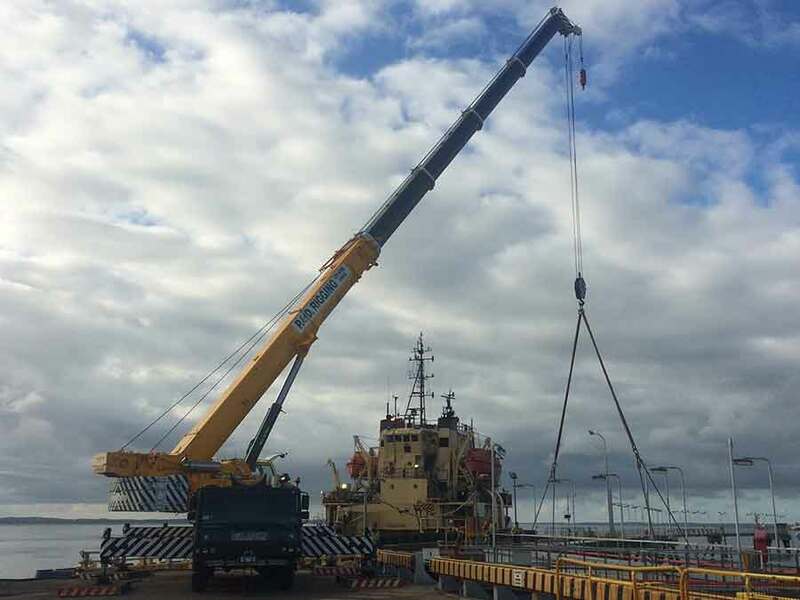 Loading Arm Removal – LIP Gas Plant | P. & D. RIGGING & CRANE HIRE PTY. LTD.
P&D Rigging and Crane Hire were engaged by Wood Group PSN to manage the lifting component of removing 3 ship loading arms at the Long Island Point Gas Plant in Hastings. The work involved utilising 3 cranes, 220T All Terrain, 90T All Terrain and a 30T Slew crane to undertake the work. The project had a very tight window to undertake the work due to ship movements on the jetty. The work involved removing the loading arm counterweights, then removing and rotating the loading arms so that they could be transported off site.